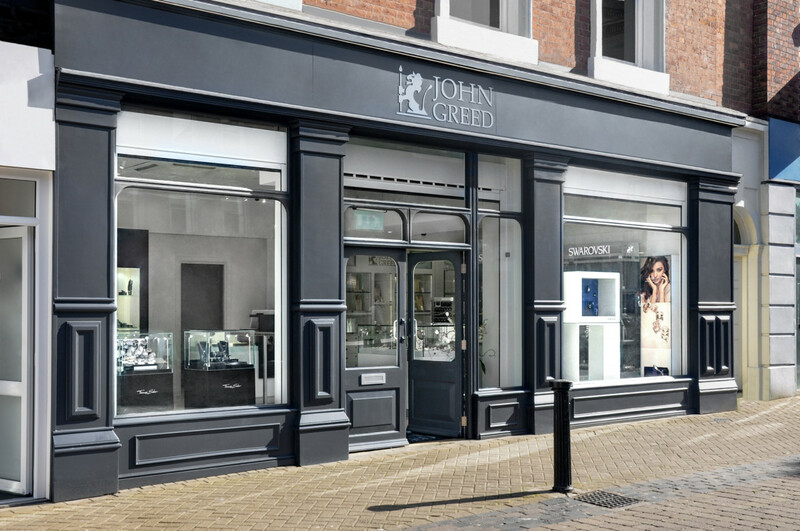 When Processional Jeweller meets Pandora’s new managing director for the UK, she’s only been in the role 35 days but already she’s visited some of the best performing stores, spent time getting to know the team at head office, met all the franchise partners (and let them have their say), and led meetings on strategy for 2019, all the while working on plans to propel business during the lucrative Christmas trading season, and even finding time to sell on the shop floor during the mad Black Friday rush. This gives you a glimpse of the kind of boss Kate Walsh is. She’s active, positive and full of energy; she’s not afraid to hear people’s honest thoughts — in fact she welcomes this; and she truly believes in getting everyone involved and recognising the talented people the business already has in its midst. 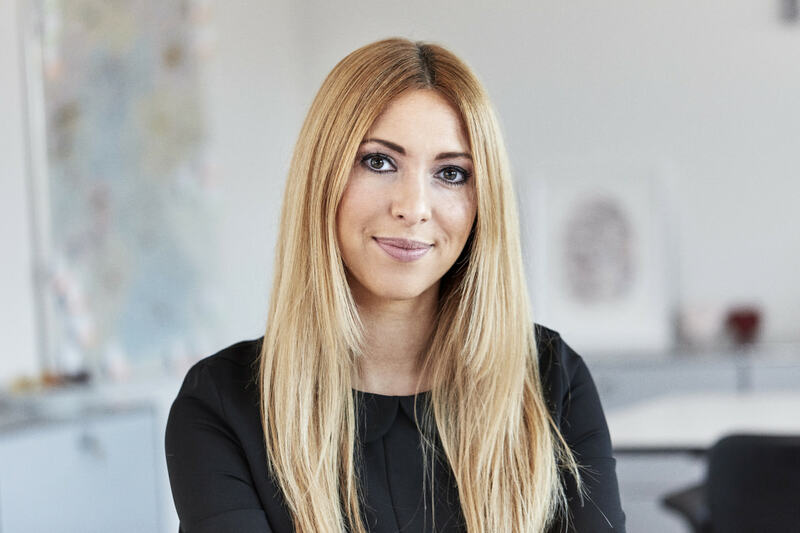 Walsh has enjoyed an impressive career in the company, which has taken her all around the world and then home again with this latest position where she is ready to take Pandora to the next level in the UK. Walsh is taking over the reins at an interesting time. Just days into her new role the brand announced the launch of Programme NOW, which will be driven by a chief operating officer who has recently joined the company, to help improve the business and move it into its next phase of maturity. Walsh welcomes this new programme and believes it’s an exciting time to lead the UK division. Here she sits down with our editor, Stacey Hailes, to discuss the new programme and how it will impact the UK business, alongside plans to work closer with franchise partners, empower existing employees, and keep Pandora profitable. What have you been up to since taking over the reins in the UK? It’s a really busy time to come in because our financial year runs January to December, so we are looking ahead to 2019 – looking at the budget and our priorities for the New Year – at the same time as doing Christmas. I’m also getting to know the team here and we’ve have launched Programme NOW, so it is an exciting time. Jeremy Schwartz has come in as our new COO and he’s brought a lot of new energy and a real focus towards the consumer. So there has been a lot of workshop activity going on for new ideas on how we can provide a better retail experience in our stores and looking forward to how we could work towards omnichannel. Obviously being in a franchise environment we need to think about how we do that in partnership. So I have come straight into a lot of great initiatives looking forward to the future; re-connecting with some familiar faces, but getting to know new people as well. I have not been out to stores as much as I would have liked, but this week I just went because otherwise you can get eaten alive in the office. So I have been off to stores and I plan to do more of that over the next few weeks because typically for me the answers generally lie in the stores. Why do you think the answers lie in the stores? You can hear from the team in the office and get a few hypothesis about where the opportunities might lie, but then I think you need to get those and take them to store and have conversations with the team and really ask the operator what they think. I have already in the last day and a half seen some real good ideas and opportunities on the shop floor. So I will be doing more of that to help support the budget and the revenue opportunities for 2019. One team mentality — that was my approach to Germany. What I love about Pandora is the whole Danish culture. It is very equal. And that’s one of the things that captured my imagination about Pandora. I love that we’ve all got different job titles, but we are part of the same team. Ultimately, my role as MD is to sell. I love being on the shop floor, and it’s been really nice because I’ve been able to sell to some customers myself and that’s the best way to really understand and gain real insights. That’s how I love to spend my time. It gives me a lot of energy to go out. It brings you back to what it is all about and who pays everybody’s salaries at the end of the day. And of course that starts with the customer. People work really hard on the shop floor and you never want to lose sight of that, or lose touch with it, and you’ve got to give them a voice. Franchise partners are very important to Kate Walsh, who learnt how to make Pandora a profitable retail business from the brand’s dedicated UK partners. Has anything taken you by surprise in the UK market? Is it very different to Northern Europe? The economy is obviously in a different place. We hear so much about Brexit and consumer confidence but what’s positively surprised me is, you would have seen we have adjusted down our revenue in the recent report, but ours is still the busiest stores in the shopping centres. You could look at what’s going on with the economy and say, ‘Oh retail, it’s tough’, but we’ve got an amazing business. There are still queues outside Pandora. There is a lot of energy in the stores. The profitability of our business is amazing when you benchmark it to other jewellery companies, so I’ve been really pleasantly surprised by how upbeat people have been in the stores that I have been in. 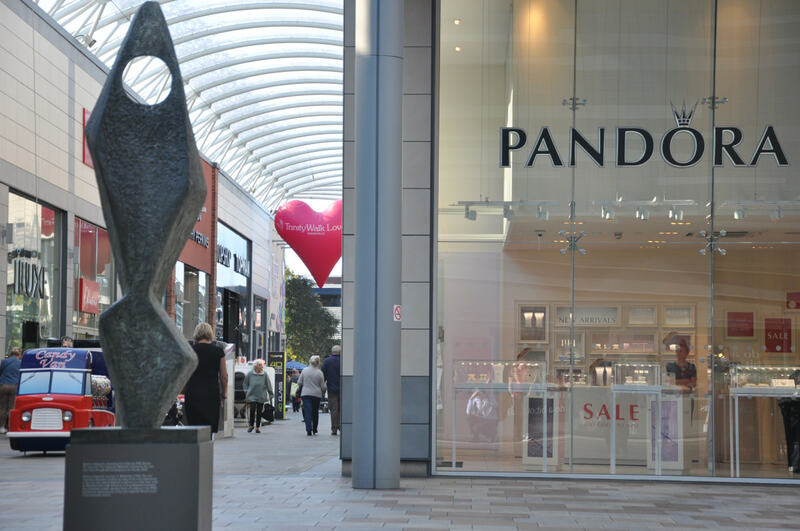 You hear a lot about the retail environment, but there are still people who love to shop, love to go out on the high street, who love to touch and feel products, and the level of engagement with Pandora is still amazing. We’ve got an amazing business, and also a lot of passion from our franchisees. Have you met with the franchise partners yet? Yes, we met together for three hours. I did a survey with the franchise partners, which was anonymous, because I really believe in honest and open communication. I talk a lot but I also like to listen and I know our partners have got a lot to say. What was really a pleasant surprise is that despite the fact we have been busy, and maybe not spent as much time with our franchise partners this year, they are still super engaged, super passionate, love Pandora, love the product, love the opportunity they have had to work with the brand, and really want to contribute. So I did the survey and then I was on stage for two hours doing a Q&A. I had three parts to my presentation — celebrating what’s great still; identifying where some of the frustrations are; and sharing what I have on my radar to improve things alongside big opportunities for 2019. I also gave them the opportunity to submit questions that I would answer live on stage and facilitate some conversation and we are going to get back together again in February. So I have had a warm welcome and we had a lot of positive feedback about the Q&A and the dialogue. So I think there is a strong platform to build on. How many franchise partners do you have now? Around 40. We’ve still got a significant number. So the split of stores we have now is 126 owned and operated, and 108 franchise. If you look at those numbers, franchise stores still represent almost 50% of our store count, so its a significant part of our business, and I am really happy with the announcement that we are going to significantly slow down on the acquisition activity that has been going on. I’ve always had a very good collaboration with the franchisees, and I have got to say when I came in as vice president of retail in the UK we had five O&O stores that increased to 10, and I learnt how to run Pandora concept stores from our partners. Literally the team and I went out and looked at different partners because we wanted to find the good stuff that they were doing and elevate that in our O&O stores. So I learnt how to run Pandora stores in the best way from all of our franchise partners. They are a very important part of our business and part of my journey, and I can imagine that with it being such a busy year on acquisitions it could have been quite a uncertain time – and it was quite a distraction for the team – but we have the opportunity now to focus on running what we have in collaboration with our franchise partners and that’s really exciting. So it is nice to come back to that announcement to give me and our franchise partners the peace of mind that in 2019 we can really look at how we can strive to be better franchise partners. Pandora is focused on launching fresh products frequently, and introducing innovative new concepts. What are your plans for Pandora over the next 12 months? We kick of the year with our store manager conference so we are planning that at the moment. I really like, in the words of Franklin Covey, Seven Habits of Effective People, “Seek first to understand”. So I am still in fact finding mode. From our customers, from our stores, from our franchisees, from the team here — I like to get as many insights as possible to find out where the biggest opportunity is. But I see lots of opportunities, and I think there are lots of little opportunities that will all add up to helping us deliver a good result for 2019. I think there is an opportunity in our selling skills and product knowledge. It sounds basic and it is something not unique to Pandora, but I do see an opportunity out there and in the stores. I think really strengthening our sales training and getting more insight is a really good opportunity. Also, really empowering our store managers and making sure they get support is really important. We need to be a great employer. So I will be looking at succession planning in the stores — really enabling people to see a clear career path, and that will be something I will be challenging our HR team to look at. It is something I measured a lot in Germany — that when we have regional sales roles come up, are we able to fill them with store managers? When we have store manager positions come up, are we able to fill them with assistant managers? I like to really look at the people KPIs. What’s are turnover rate? Are we doing enough to retain people? That’s got to be something on our radar. There are many things but that’s just to pick a few. And then of course looking at what we will be getting from our global office to help support us towards things like omnichannel and click and collect — how and when can we get there? All of this, we are behind on as a business. So some of this we need to look at as business and how we are going to get up to speed and keep giving our customers what they want. What we were talking about before, unlocking the small opportunities in every store. I think that’s the beauty of our Pandora stores — it is not the cookie cutter approach like Starbucks, which I have worked for in the past. The shape and size and the format is absolutely identical in Starbucks but we have a lot more of variety in our stores in terms of the shapes and sizes. It does give a little bit of room for store managers to have a bit of entrepreneurial vision in their stores and empowerment. I think there are lots of small opportunities out there that together can add up to a big opportunity. Whether that’s learning how to sell Pandora Rose as a category, or our ring category, or operationally how to work in the most efficient way — unlocking opportunities within the store and driving people in with our marketing activity is important. There is a lot of good stuff already happening, so just trying to elevate that and having a culture of salesmanship – selling and not serving – and constantly giving feedback, which is one of the tricky things to do. So we need to make sure our store managers are comfortable with all of that. How will you make sure the business withstands hardships on the high street? I think it is focusing on the in-store KPIs. The economic conditions we are all going to be at the mercy of, but we are at the fortunate position where we are still a very profitable business, in a strong situation for the future. We will be focusing on the factors that are within our control in the stores and really celebrating what’s great in our business. If you celebrate the small things the results will come. Sometimes you can focus too much on the outcome but if you focus on the process, and making sure you offer that amazing customer experience every time, the results will follow. 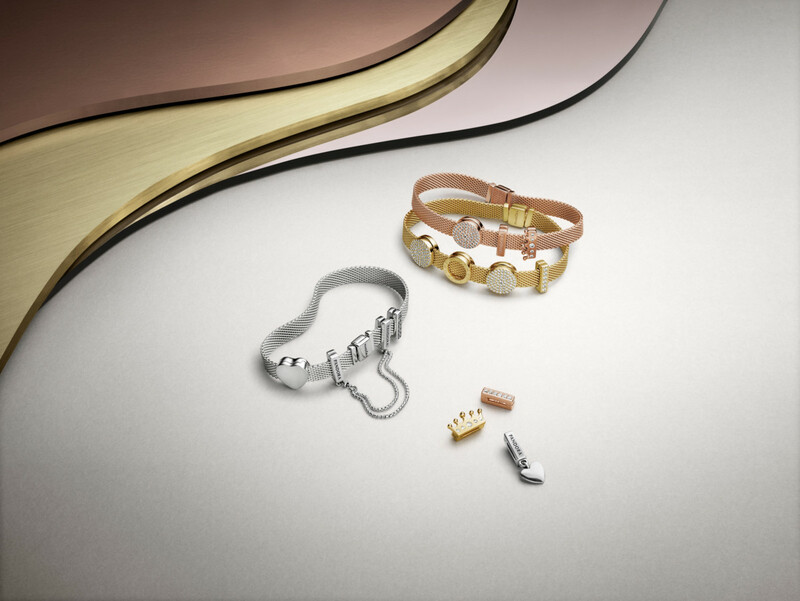 The brand’s latest product launch – pieces designed for the gifting Valentine’s Day season. The company recently launched Programme NOW, can you tell us a bit about that? ‘N’ stands for next level efficiency, and I think that is just a great mind-set to have because when I’ve gone into stores here it’s been really interesting to go into the back office and start chatting to the team about how many printer cartridges we get through and discussing whether there’s a different way to print our materials for the stores. There are lots of small ideas out there that can add up to become a big idea. Just as much as you can think about the revenue opportunities and finding the right spots out there and elevating them to become bigger opportunities, you can do that with the bottom line as well. I think having that mind-set across the business will unlock some really good ideas because there are small things that we can all do, it doesn’t matter who we are or which job we are doing. When we have been growing so rapidly as a business, we could be in danger of not always having that mind-set, so I think it is a healthy thing to think about now. ‘O’ is One Global Brand, and of course we have our office in Copenhagen, and we operate here and in other markets, but a lot of what we need to do to move forward – for instance when we are looking at things like omnichannel – we really need to do together and work as one team. But, most importantly for me being at the retail end of the business is ‘W’ – winning our customers hearts, and that’s what it is all about. The customers are the boss. So we really need to keep thinking about how we deliver that deep emotional connection with our brand. I think that is really unique about Pandora and that’s wide open space. I have always said it is hairdressers and Pandora stores where you really hear people sharing their own personal stories. We are uniquely placed to continue winning our customers hearts, so we should never lose sight of that. The whole programme is designed to accelerate on our 2022 strategy, so we were on that journey, but we have just put our foot on the gas a little bit with certain initiatives. Jeremy coming in has given us that renewed energy towards the customer as a business. That COO role is a new role for us. It is really exciting. It is always good when a business comes out and says we are going to try and move things forward at a faster pace. Do you have any plans to expand your retail network in the UK over the next 12 months? As with any retailer, of course every year you look at, are we in the best locations? Has a new shopping centre opened? We wouldn’t be a responsible retailer if we weren’t every single year looking into whether there are other opportunities out there. But, I think it is safe to say we have a very good network as it is. So it’s not as if I am seeing massive gaps out there, but as an ongoing basis we would always be constantly looking to make sure we are in the best possible locations. The UK business grew in revenue last year, but the operating profit declined slightly, what are you going to be doing to return to profitable growth? I think the ‘N’ in Programme NOW (next level efficiency) is really going to be key because when we acquired stores we of course changed the structure of our business. We’ve got a lot more O&O stores – so the cost base has changed – and there’s a lot of great procurement initiatives happening as well, which we maybe have not focused on as much before because we have not had as many stores. There are some really good opportunities out there now we have a bigger store base. Also just having a more stable approach to the business will help. So not doing all of the acquisition activities — focusing on what we have, and focusing on how to be more efficient will really help with that. We have kind of anticipated that we have had a busy year and now is the time to look at how we can do things more efficiently. Really, Programme NOW, with the different strands of that, will help us protect our profitability for sure.